Family starts athletic scholarship fund in honor of Jacob Scott Craggett. 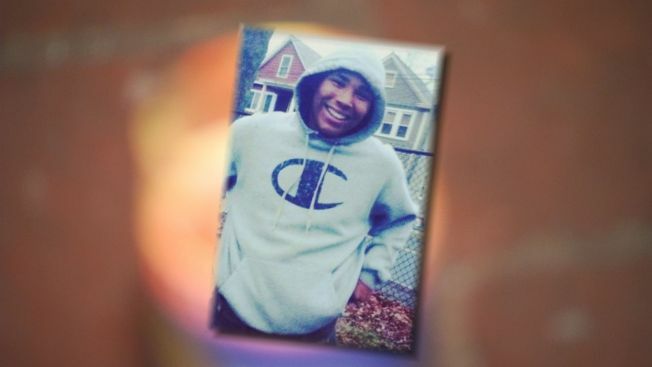 The family of a 15-year-old killed in a triple shooting last week in New Haven gathered at a funeral Saturday in mourning of their lost loved one. Jacob Craggett, 15, was a rising sophomore at James Hillhouse High School and was gearing up to join the varsity football team in the fall, according to his obituary published on Washington Memorial Funeral Home's website. The family received relatives and friends Saturday morning at Christian Tabernacle Baptist Church in Hamden before the funeral service and then the burial at Evergreen Cemetery in New Haven, according to the obituary. Just more than a week ago, two or more people fired shots into the car Craggett was in, killing him and critically wounding his brother, Joshua Craggett, 23, and the driver of the car, Timothy Jones, 22. Joshua spoke to family and friends attending the funeral through Facetime from Yale-New Haven hospital and the boys' mother, Lisa Craggett announced a plan to start a scholarship fund in honor of her son, The New Haven Register reported. Family and friends remembered Jacob's life at a candlelight vigil last week, the day after the Aug. 8 fatal shooting. They walking in his final path from his grandmother's house, where he was earlier that night, and ending at the place he was shot at a half a block away. "He had his whole life to live and now he's gone," Tina Craggett, Jacob's aunt, said. Lisa Craggett shared a memory of her last moment with her son last week. Memorial contributions in Jacob's name can be sent to the Jacob S. Craggett Athletic Scholarship Fund, c/o James Hillhouse High School, at 480 Sherman Parkway, New Haven, CT 06511, according to his obituary.